Today we begin our Honolulu Festival series. 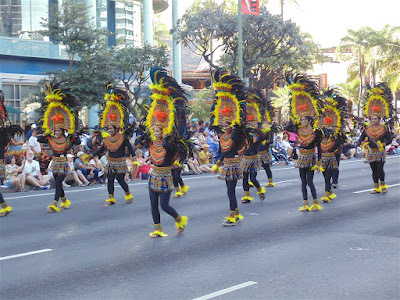 The Honolulu Festival is one of Hawaii’s premier cultural events, promoting understanding, economic cooperation and ethnic harmony between the people of Hawaii and the Pacific Rim region. Kicking off our photos is ths group by Philippine Airlines marching down the street in their colorful eye catching attire. This series will show various photos from the parade and the concluding Nagaoka fireworks show. This entry was posted on Monday, March 14th, 2016 at 12:47 am	and is filed under CityPhoto, Feature, Art, cultural, Hawaii Photo of the Day, Attractions. You can follow any responses to this entry through the RSS 2.0 feed. You can leave a response, or trackback from your own site.